I miss Zong! It’s been pretty quiet there lately so I’ve actually liked it more. I miss Zong!! Haven’t been in too long and was just commenting to my husband that we haven’t been in forever! Is the food still as good? 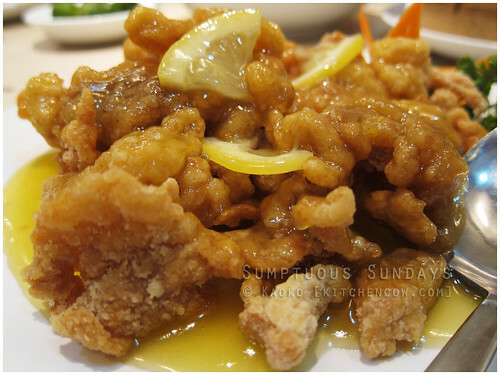 This lemon chicken certainly looks yummy! Unfortunately, I can’t compare because I’ve tried Zong fairly recently lang. Though for what it’s worth, the food was good when we ate.